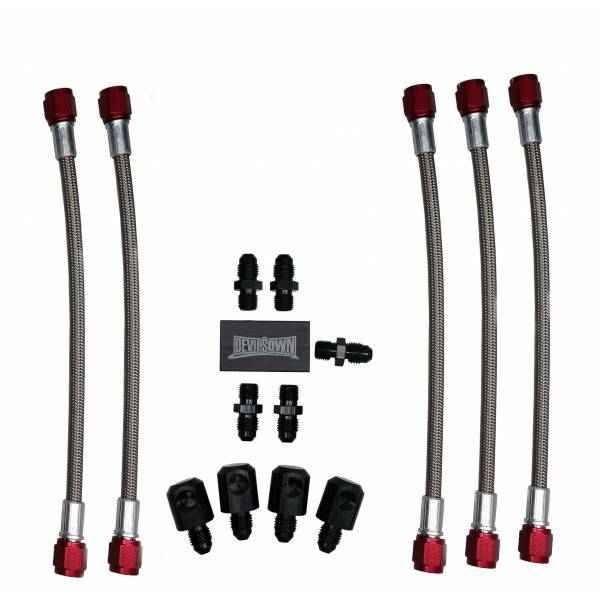 With this upgrade you get all the fittings needed to upgrade your kit to the benefits of direct injection. 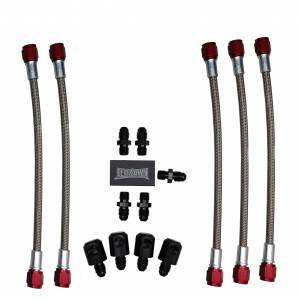 This includes the manifold, 1/8" -4AN fittings, -4AN nozzle holders, and 5 12in stainless steel lines to hook it all up. 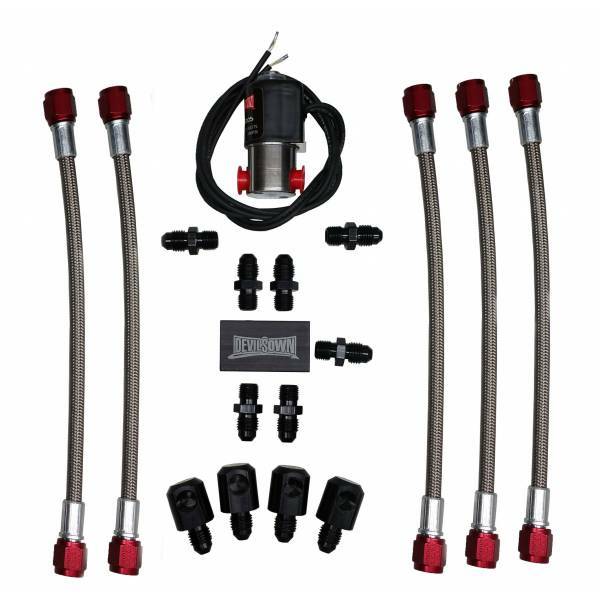 Installation: You will want to install the this manifold upgrade after the solenoid. Then, we usually recommend putting each nozzle as close to the cylinder head as possible.